Ever since the FIFA World Cup ended, many fans, including myself, have found themselves exhibiting signs of soccer withdrawal. As a substitute to watching soccer on its grandest stage, there’s of course the option of playing FIFA ’10 from EA. The title was one of the most complete sports games to come out for 2010. The introduction of in-depth game modes along with attention to many of the sport’s subtle aspects gave the FIFA series a sense of realism that seemed to be lacking in previous titles. Now, EA is stepping up the ante with the upcoming release of FIFA ’11. Not only does the game appear to build well on previous ones, but it also promises to change the way soccer games are played altogether. Many yearly revisions of sports titles tend to contribute rather modestly to overall game play. That is why the new approach EA has taken for FIFA ’11 is reason enough to be excited. Instead of focusing on creating more complex game modes and role playing scenarios, the developers have trimmed down single player significantly. Virtual Pro was a single player mode introduced in FIFA ’10 where players could create a custom character and play in any mode in the game. Career mode has now been restructured to exclude Virtual Pro so users can only choose to be a player, a manager or both for multiple seasons. Though the extra features had their worth, removing them was a good move to streamline the game. As a result, the simulation engine has been revamped to provide more accurate game results and allow players to see results around the world. These efforts to make the career mode simpler and more efficient allowed the developers to focus on other aspects of the game. While the major changes to career mode may dampen the spirits of those who enjoyed Virtual Pro, they are certainly a minor issue considering the new mechanics of the game. Since soccer is a tactical sport, more has been invested into making game play as realistic and thoughtful as possible. A new physics engine has been introduced designed to make player motion as fluid and dynamic as the actual game. For example, “ping-pong” passing has been removed, meaning that players will now have to plan out each pass carefully before making it. On top of that, players will have a new arsenal of skill moves to execute and every touch, dribble and movement will be highly controllable. 360 degree dribbling as it is called, will be supplemented with 360 degree physicality meaning players will be able to push, shove and respond more aggressively in one-on-one situations. What’s probably most exciting about EA’s new approach to the is the addition of player personalities. Usually in sports games, skill levels assigned to players don’t have that much of a bearing on the way they play in game. Player personalities are an attempt to change that, as players will now take on skill sets and behavioral attributes that are similar to their real life counterparts. For example, stars like Lionel Messi will be far more capable of shooting, dribbling and passing than the average player. I can’t emphasize how much of a difference such a feature will have on game play because not only is there a difference in skill between individual players, but also between various positions on the field as well. An attacking midfielder or forward will play quite differently than say a defender so users will have to pass and shoot based on the make-up of the squad. The FIFA series has shown consistent improvement over the years through efforts to change fundamental aspects of the game. Although Virtual Pro has been scrapped for FIFA ‘11, I anticipate that the new aspects of the game will be better in its place. It’s nice to see EA take it a step further and really try to redefine the in game experience. As of now, those who have taken demos of FIFA ’11 for a spin have many positive things to say about it. 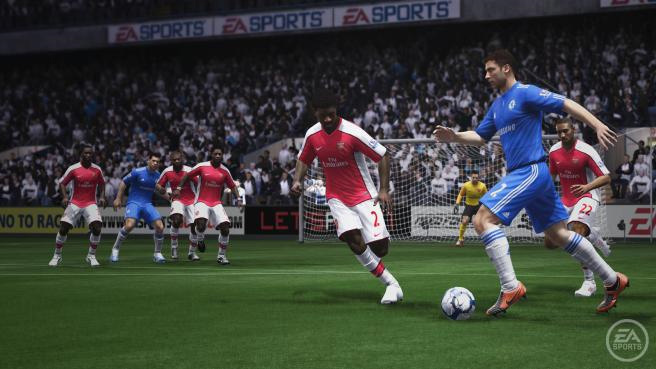 While FIFA ’11 seems promising, it isn’t the only soccer game set to be released. Gamers should also be on the lookout for Konami’s Pro Evolution Soccer 2011 which is scheduled to come out between September and December of the this year. FIFA ’11 will be out on shelves in North America September 28 2010. 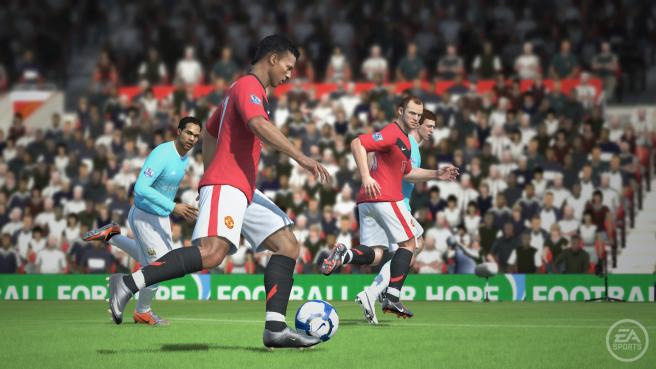 Whether or not FIFA ’11 will be of its own class, it’ll certainly be worth the wait.